They packed nearly 40 top UK suppliers on their Bulwer Avenue site and kicked off with a great Outside Broadcast from the Island FM team. Then there was a very busy three days of demos, offers and some fantastic competitions. 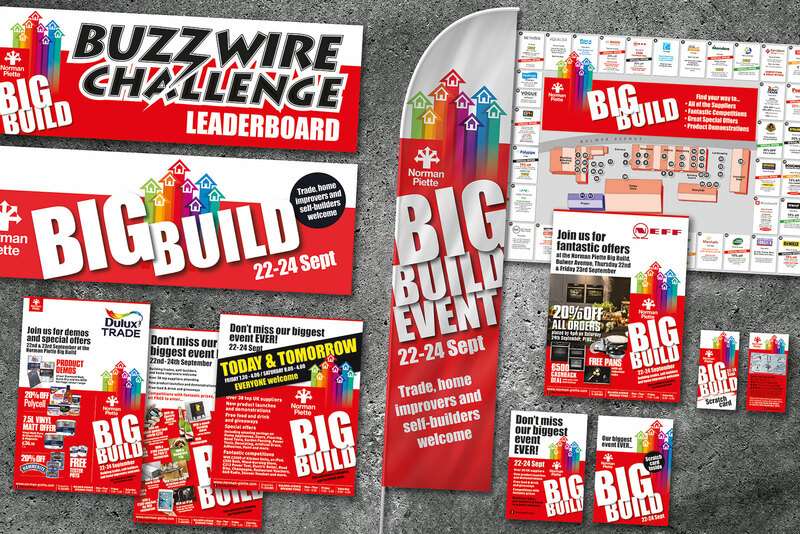 We were delighted to have designed the Big Build logo and rolled out a whole range of marketing material including Press and radio ads, flyers, scratch cards and banners.